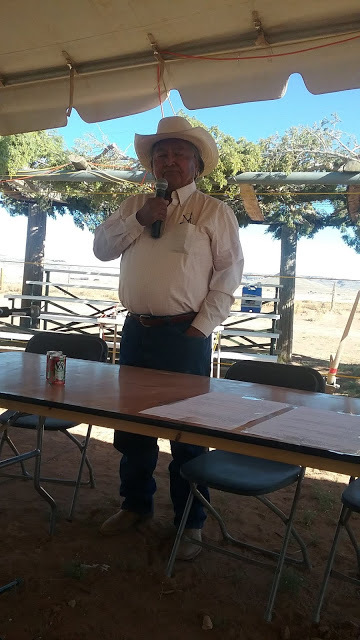 DILKON, Navajo Nation -- Speaking on Dine' laws and balance, Herb Yazzie, former Chief Justice of the Navajo Nation, began the Dine' CARE's Peoples Convention on Saturday, with words of survival. "We will not survive if we do not live by those laws, our laws," said Herb Yazzie. Other laws, that other people have, on consumption, are destroying the world, destroying the earth. "Mother Earth is the living entity." If the balance is not obtained, there will be consequences. "We have to listen to those who study the environment," Yazzie told the Dine' CARE Peoples Convention this morning. "When you pollute Mother Earth, with enough of the pollutants, there will be consequences." "It is time for the conqueror, the invader, to sit back and reflect." Yazzie said there is the need to reflect on whether there is a need for a swimming pool in Phoenix or gas guzzling monsters to get groceries. "That has to be assessed." "You don't get rich at the expense of Mother Earth." Yazzie said the invaders, the foreigners, did not listen. Yazzie urged leaders in Window Rock and Washington D.C. to listen to what Native people are saying. "Climate change is not a hoax." 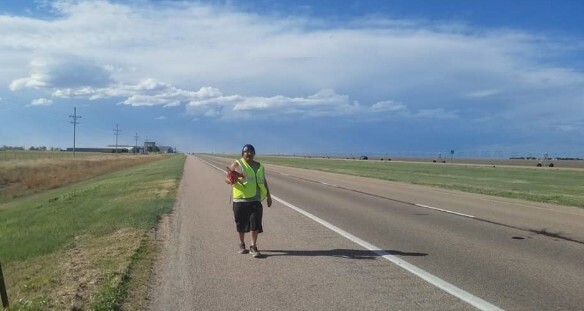 Speaking on sovereignty, Yazzie said, "We were instructed by the Holy People, that you are not to ever forget this, it is your duty to protect this, what we have blessed you with, that is why we gave you a brain, that is why we gave you this beautiful land, these stories, these lessons." "They are not merely stories, they are not merely lessons. If you listen close enough, these stories, these lessons, there will be embedded in that, a law or laws that must be obeyed." "Those laws are what are most important. The human-made laws do not take precedence over the fundamental laws. They are superior." "We must not be so arrogant to say that the laws we made as human beings take precedence. The laws of human being must conform to the fundamental laws. "The invaders came with their weapons, religions, schools, they planned to change us. "When the people were released, when they came back to the homeland, they developed a song. "It says 'I am here, I am standing.'" "I am still here. I exist. I am going back to Mother Earth to live the way I'm supposed to live." "People imprisoned over four years, coming back in rags on foot, with no possessions at all. "They came up with this song because of their pride, because of who they are, they came up with this song. The song says -- "They will not succumb to what they were subjected to. "All Native Nations are like this, they have similar stories. "That is the Sovereign Thread that runs through all of Native America. "Grandpa would say, We were here long before they came. We will be here long after they leave." The only question is what condition will have they left us in. We must rebuild, we must rejuvenate, we must continue to exist as distinct people with its own ways. "That is my interpretation of the Treaty, what was done, and our reaction to it."